A common method of restricting access to paths is to install a bollard in the center of the path. 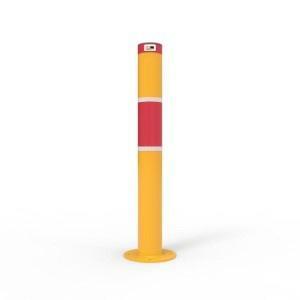 To prevent the bollard creating an unacceptable risk to cyclists, the bollard installation should also include line marking to direct cyclists away from the bollard. 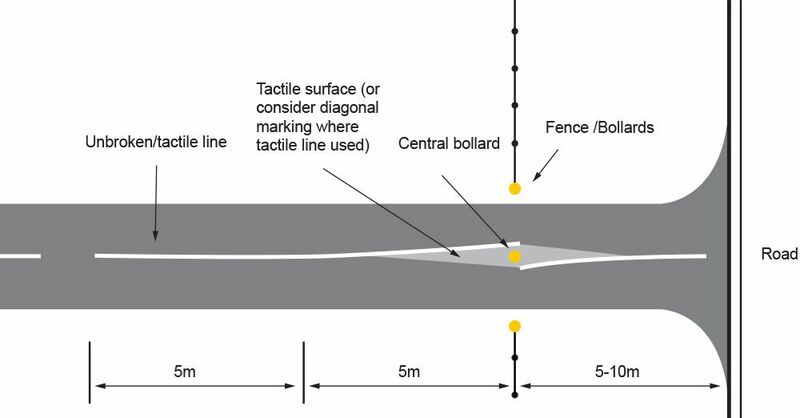 Example of line marking used to direct cyclists around the bollard hazard.